Sydney’s lockout laws, as well as current and proposed restrictions in other Australian cities including Melbourne, Brisbane, Perth and Newcastle, are perhaps more about regulating people’s behaviours in cities than about liquor licensing. Such knee-jerk responses to tidy up the mess of complex issues belie society’s need for diversity. They also neglect culture’s debt to the manifold possibilities of social behaviour in urban space. Viewed as part of a broader historical pattern, such episodes of regulatory crackdown remind us that a seemingly purified city is not necessarily a healthy or diverse one. Australian cities have always been extraordinarily diverse places. Amid broader sociocultural and regulatory shifts, this diversity has produced instability as people from different backgrounds, ages, means, religions, sexualities and abilities have come together. Some of the places where these instabilities play out are on the streets and in drinking establishments such as the café, bar and pub. People watch each other, ascribing meanings onto each other based on visual cues. Public drunkenness is one such cue. An especially notorious instance was in London in the early 1700s during the gin craze. 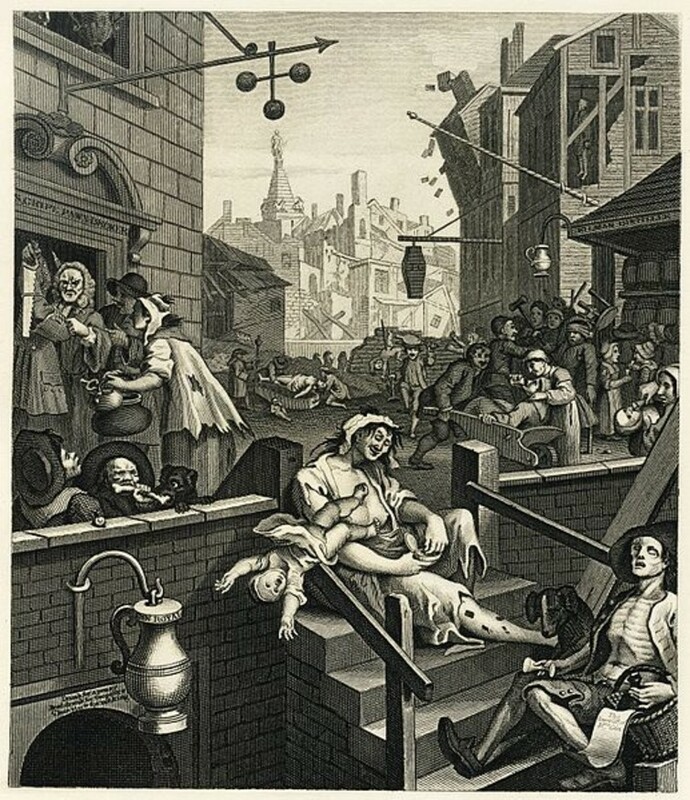 William Hogarth, the pictorial satirist of urban life, captured “Gin Lane” in 1751. On the streets of London, Hogarth moralised the issue, representing men wasting away rather than working, and a mother neglecting her children, allowing them to fall headfirst down the stairs. William Hogarth, Gin Lane, 1750-51. The issue was not alcohol itself (Hogarth thought beer okay), but rather the relationship between gin, nationalism and the lower classes, which apparently produced vice and neglect. The London authorities’ response was to regulate by introducing the Gin Acts, which raised prices and cut consumption. The scenes that are witnessed, half-way up Bourke Street, in the direct line of both our Houses of Parliament [Spring Street], actually surpass anything in St Gile’s or Covent Garden [London] after dusk. It may seem strange that city authorities do not abate these disgraceful nuisances. The “nuisances” he saw were young women. A typical mid-19th-century moralist, Horne believed – based on visual cues – that these women were “depraved”. Being an unaccompanied woman on the street was apparently linked to the dual vices of drinking and prostitution. The solution Horne proposed was intervention by the urban authorities, to clear the streets for people that he perceived as more respectable. Over the next century, the temperance movement sought to eliminate all alcohol consumption. So came about the pubs with no beer: the coffee palaces. Across the Australian city, immaculate buildings were designed by leading architects to house these late-night venues, including the Federal Coffee Palace in Melbourne, the Sydney Coffee Palace in Woolloomooloo and the People’s Palace in Brisbane. 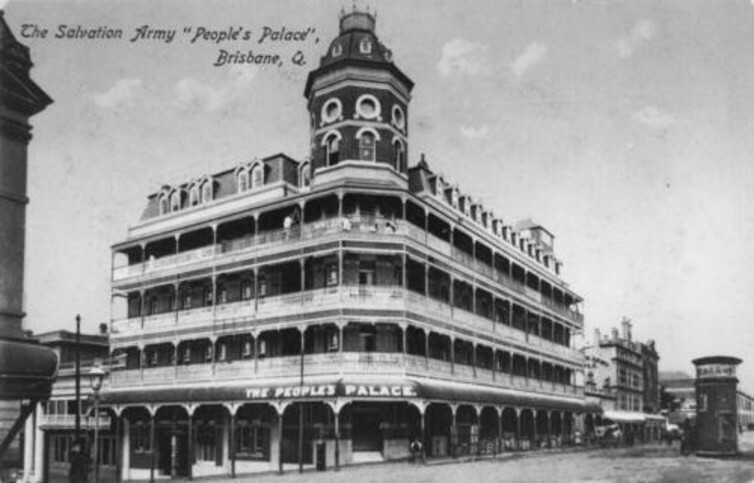 People’s Palace after extensions were added, Ann Street, Brisbane, c. 1913. Urban improvement extended from buildings to the streets where freshwater fountains were constructed to quench the thirst of urban dwellers “in the interests of humanity and temperance”. Improving streets and cities for the greater good, such measures were typical of turn-of-the-20th-century social advocacy. Young people were known to congregate around the fountains. Even during periods of restrictive liquor licensing, urban diversity has taken many forms, so long as alternative public places have been provided. The next challenge for inner-city urban life related to liquor regulation was the early closing movement, coupled with rapid mid-20th-century suburbanisation that emptied out the Australian CBD outside the working week. The early closure of pubs led to the infamous six o’clock swill. Although temperance campaigners denied the existence of a “Pig Swill” during the NSW Royal Commission on Liquor in 1952, had the campaigners visited a pub or the street in the late afternoon their minds might have been changed. The refusal to visit the streets, to seek out visual cues, represented a form of wilful blindness typical across urban history. At that time, hordes of pub patrons, predominantly men, entered the street on their way home to the suburbs. Outside Melbourne’s Young and Jackson pub on Swanston Street, opposite Flinders Street Station, men lined up to publicly urinate against the tiles. Walking past this prominent spot, opposite St Paul’s Cathedral, was no doubt an undesirable street experience. Over the coming years every Australian city liberalised its licensing hours. Adelaide was the last to do so in 1967. These changes paved the way for the night culture familiar to us today. 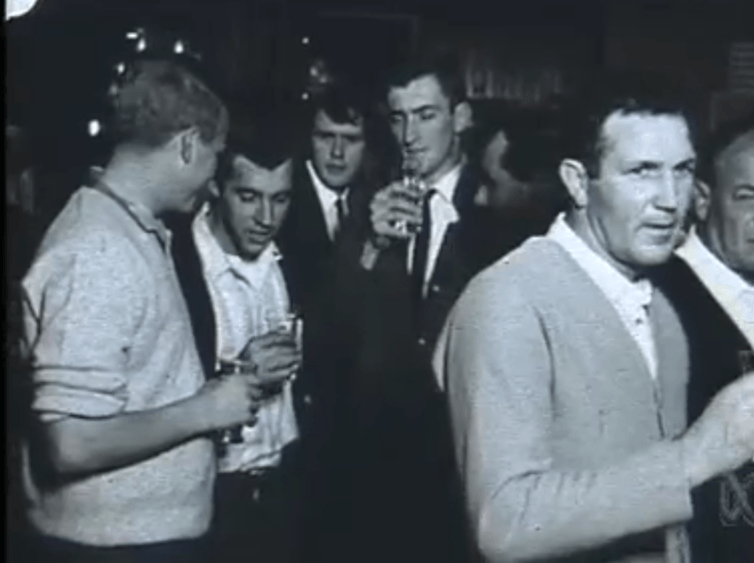 In 1967, Adelaide became the last Australian city to end the ‘six o’clock swill’. Whenever authorities have regulated the city there have been unintended consequences. Heightening liquor regulation has for centuries been the immediate response of urban policymakers when confronted with people and behaviours deemed socially undesirable. The overarching goal has been to impose a sense of order on the city and its spaces. But that happens at the expense of street life, public safety and social diversity. Shutting the pub early impacts urban life as a holistic ecosystem and, without viable public alternatives as in the past, this serves to eliminate difference on the street. Cities thrive as messy places. No matter the underlying justification, to “lock out” the city is to diminish it.